Many New Yorkers know the city has trouble completing construction projects on time and under budget. Projects like school renovations and the build-out of park facilities are capital projects, the subject of increasing scrutiny and some reform, with more promised, as frustrations persist and residents, watchdogs, lawmakers, and other city leaders seek answers. 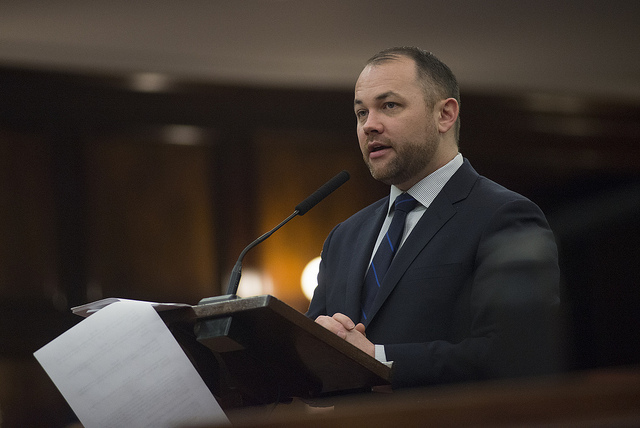 Top officials from the administration of Mayor Bill de Blasio to City Council Speaker Corey Johnson to Comptroller Scott Stringer have taken a fresh interest in improving the capital projects budgeting and delivery processes. The mayor’s office has released several plans promising to do just that. After forming a new subcommittee on the capital budget last year, the City Council has proposed reforms and Council members have been critical of the city’s handling of capital spending during this month’s annual budget hearings. Stringer has proposed three city charter revisions to improve accountability, recommendations to a charter revision commission that will soon propose changes to the city’s central governing document. There are some areas of agreement among the parties involved, but it is currently unclear if there will be any major substantive changes to the current system, wherein the city’s long-term capital budget planning is lacking in transparency and widely seen as unrealistic, and projects are consistently falling behind schedule and over budget. Much of the recent attention has come through this year’s city budget process. 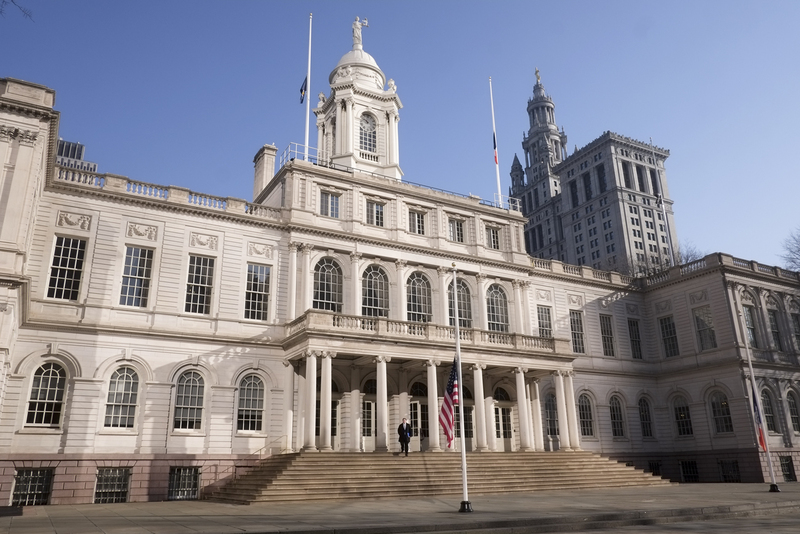 As part of the reviewing the preliminary expense budget put forward by Mayor de Blasio, the City Council also assesses the preliminary capital budget for next fiscal year as well as the ten-year capital strategy. At the first preliminary budget hearing of this cycle, Melanie Hartzog, the city’s budget director, said that the top priorities for capital projects over the next decade would be education, environmental protection, housing, and transportation. In two recent hearings and several recently-released plans, city officials have promised to address many of the long-standing issues associated with capital project delivery, including planning, process, and transparency. “We have doubts,” said Council Speaker Corey Johnson, a Manhattan Democrat, at the Council’s initial budget hearing. Johnson and other Council members raised several issues about the capital budget and the ten-year plan. He said that the latter half of the ten-year plan “does not take into account the city’s needs,” including both its current commitments and new needs that will arise. Multiple Council members brought up that the ten-year plan does not include any new school construction after fiscal year 2024. Council Member Vanessa Gibson, a Bronx Democrat and chair of the capital budget subcommittee, called this “unrealistic planning” and noted the city’s history of frontloading its ten-year capital plans. 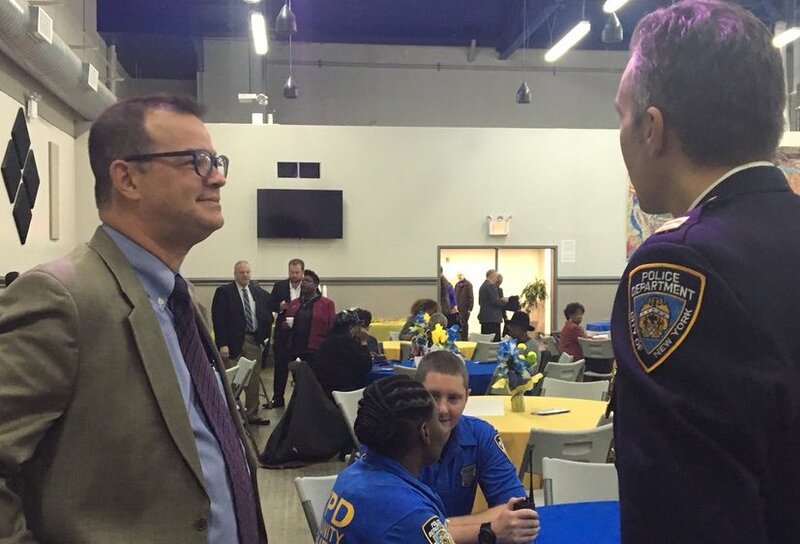 Gibson specifically cited the budget planning for the NYPD’s capital needs. The current proposal allocates $850 million in capital spending for the first three years of the plan, and only $160 million in the next seven. Hartzog acknowledged the history and said that the city is working to improve. Council members did acknowledge some progress in clarity for what is outlined. As of the time of the report’s release, DDC was managing 834 active projects valued at $13.5 billion. Since 2004, the annual capital budget has grown by $1 billion to $3 billion each year to keep pace with a growing city, which has also added nearly a million jobs in the same period. DDC deals with most city capital projects outside of the School Construction Authority, which is its own entity dealing with its eponymous subject matter. SCA is known to be far more successful in its planning and delivery than DDC. The blueprint identifies three internal and external impediments within the delivery process, including DDC’s own business practices, burdensome procurement process rules, and the engineering challenges that come with underground infrastructure that “all complicate efficient delivery of capital projects” in the city. The report also identifies climate change as a necessary factor to consider in all future planning. Capital projects need to both protect the city from rising sea levels and natural disasters as well as minimize the city’s contributions to global warming, according to the report. The agency is under relatively new leadership as it embarks on this ambitious plan. Mayor Bill de Blasio appointed Lorraine Grillo, who has also continued leading the School Construction Authority, as the new DDC commissioner last July. Grillo has been widely praised for her leadership of SCA, including by City Council members, though the city continues to struggle with school space in many neighborhoods. DDC is currently undergoing an agency-wide review of its practices and external challenges. Through this review, DDC promises to “modernize how we do business.” These modernizing reforms include standardizing project initiation, managing projects more effectively, enhancing management capacity, and updating internal systems and technology. The plan promises to better identify and prioritize needs, streamline procurement, and restructure contracts to promote meeting deadlines, among other improvements. Contracts and contractor diversity are also a primary concern for the mayor’s office and the Council, they say. DDC wants to get more out of its contracts and diversify and expand the pool of applicants. Daniel Steinberg, the Senior Advisor to the Mayor’s Office of Operations, said that many minority- and women-owned business do not apply for contracts because of the city’s history of untimely payments. This can also dissuade newer and smaller businesses from participating in the bidding process. Timely payment of contracts is a larger issue that DDC is also seeking to address. During a February joint hearing, the City Council’s finance committee and capital budget subcommittee considered two bills that aim to improve transparency in the capital projects process. While most of the hearing focused on these two bills, it was clear that the Council members had larger issues in mind and thought of the bills as first steps to larger-scale reform and improvements. Intro. 32 currently has ten Council sponsors, while Intro. 113 has 35 sponsors, well above the threshold required for passage in the 51-seat Council. Nonprofit watchdog Citizens Budget Commission submitted testimony in support of Intro. 113 at the February hearing, saying that “the capital budget is just as important as the operating budget and should be subject to the same monitoring and scrutiny.” Gibson brought up the bills again at the initial preliminary budget hearing. Council members frequently expressed their personal frustration with the process and the length it takes for many capital projects to be completed, some spanning multiple Council member terms. Cohen, who is in his second term, said that he “spends a significant amount of my time on projects that were funded by my predecessor.” Gibson similarly expressed frustration over parks projects commonly taking as long as eight years to complete, which presents an oversight challenge to Council members, who are term-limited to eight years in office over two terms. Another area of agreement between the Council and Comptroller is the need for individual budget line items for each capital project. This proposal was one of Stringer’s suggested charter revisions and Gibson brought it up at both recent Council hearings pertaining to the capital budget. Stringer is also proposing that the city regularly report on the condition of capital assets, a requirement he wants added to the charter. The BOE is a quasi-city agency, funded in the city budget but governed by state law. It has ten commissioners -- two from every borough, with one each recommended by the Democratic and Republican parties and appointed by the City Council for four-year terms. The board’s executive director is chosen by the commissioners. The three commissioners appointed on Thursday are all women of color -- Patricia Anne Taylor, former president of the Staten Island Women’s Bar Association was appointed as Richmond County Democratic commissioner; Miguelina Camilo, who sits on the board of directors of the Dominican Bar Association, was appointed from the Bronx; and Tiffany Townsend, a Democratic district leader and former senior advisor to Council Speaker Corey Johnson, was appointed from Manhattan. Both Taylor and Townsend will replace commissioners whose terms have already expired and who have been serving as holdovers for more than two years. Townsend will replace Commissioner Alan Schulkin, who was once caught on a hidden camera suggesting that New York City’s municipal identification program would exacerbate what he claimed was a problem of rampant voter fraud, of which there is no documented or even anecdotal evidence. When former Speaker Melissa Mark-Viverito attempted to confirm her preferred candidate for Schulkin’s seat in 2017, the Council was sued by the Manhattan County Democratic Party, which had nominated a different candidate. The Party dropped the lawsuit after Johnson became speaker and both the candidates previously sought were sidelined for Townsend. The three appointments on Thursday were the first made by Johnson under his speakership and the Democratic conference used the opportunity to push the appointees on several reforms in elections processes and the BOE’s internal culture. The BOE has had a checkered history of administrative failures, most visible during several mismanaged elections in the last few years. Critics have often blamed the board’s patronage hiring process for some of those mistakes while others blame the state’s arcane and immensely complex elections and voting laws. The central point of tension with the City Council has been the Board’s refusal to abide by local legislation, claiming that the Council does not have the jurisdiction to mandate any changes to election administration and that only the state Legislature can force its hand. That tension has played out in various ways in recent years. The Council passed bills allowing online voter registration, mandating the creation of a voter information portal, and a more simple bill that would require the BOE to post signs when a poll site has been moved. The BOE has declined to implement all of them. To push those reforms ahead, the Council Democrats asked the three commissioner candidates to fill out questionnaires pledging support for those changes and also asking them to make merit hires rather than patronage ones. They also asked the commissioners to agree to allow the BOE executive director to unilaterally hire and fire employees rather than having to obtain permission from the commissioners. All three candidates agreed to the pledge, according to Speaker Johnson and other Council members. In August of last year, shortly after NYPD officers shot to death an emotionally disturbed man in his apartment, City Council Member Jumaane Williams led an effort calling on Mayor Bill de Blasio to set up a task force to conduct a wholesale review of the police department’s protocols in dealing with “emotionally disturbed persons,” or EDPs. 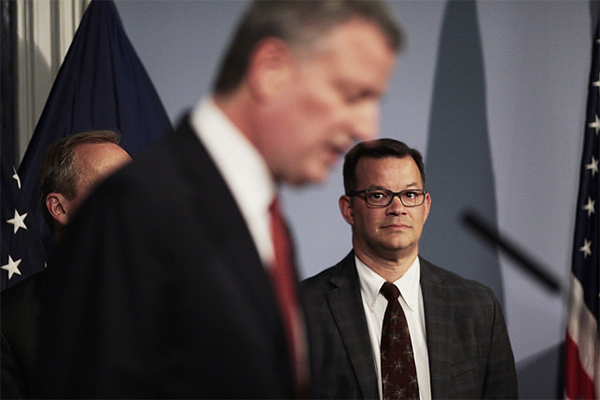 Almost eight months later, with many in the city again reeling from the fatal shooting of an emotionally disturbed man at the hands of the NYPD, the mayor has continued to vacillate on the request. “It seems to me that there’s systemic failure there,” said Williams in a phone interview. The initial request was made in a letter dated August 11 and co-signed by Council Members Ritchie Torres and Robert Cornegy representing the Black, Latino and Asian Caucus, Council Members Antonio Reynoso and Ben Kallos representing the Progressive Caucus, and Council Member Andrew Cohen, who was then chair of the Council’s mental health committee. The letter was sent shortly after the shooting death of Dwayne Jeune, a 32-year-old resident of East Flatbush, Brooklyn, in Williams’ district. Jeune was tazed and then shot by officers, who responded to a 911 call from his mother, when he advanced on them with a knife. Jeune’s mother had told a 911 caller that her son was mentally ill and was not acting violently. In January, the Jeune family filed a wrongful death lawsuit against the city, seeking $20 million in damages. Since then, even though police officials have signaled support for the task force proposal, there has been little action. The letter called for a task force to be convened and for it to complete its work within 60 days, conducting a top-to-bottom review of NYPD protocols; the department’s implementation of recommendations made last year by the NYPD Inspector General; and a look at how the administration’s much-touted Crisis Intervention Training (CIT) can be integrated with the 911 system. The Council members insisted that the task force include the chairs of the Council’s Committees on Mental Health and on Public Safety, mental health and police reform advocates, and people directly affected by officer-involved shootings. The number of 911 calls regarding EDPs, de Blasio noted, were “staggering,” about 150,000 the prior year. 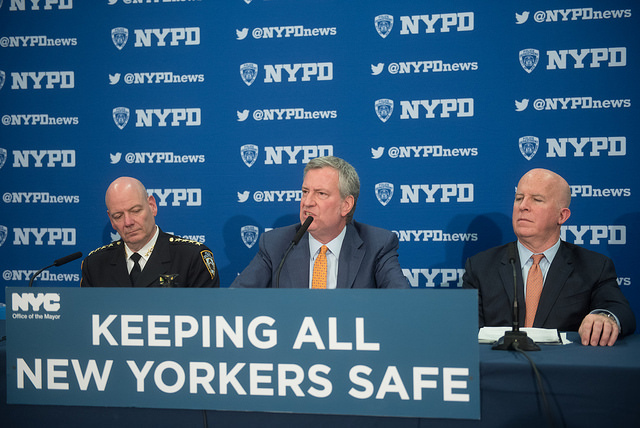 “[I] would say given the intense concern at City Hall related to mental health and the focus the NYPD has put on it, the right ideas are in place. We now have to just continue to deepen our implementation of those ideas,” he said, touting the ThriveNYC mental health program and the NYPD’s Crisis Intervention Training for officers to handle situations involving people with mental illness. The Daily News recently reported that only about 8,200 of the NYPD's 36,000-member force have gone through the CIT training. When could they expect to hear news of the task force, Williams asked. “It’s really a City Hall conversation,” Herman responded. Mayoral spokesperson Eric Phillips did not respond to multiple requests for comment for this article. “Obviously the most recent tragedies kind of highlight the fact that we need that task force,” said Council Member Cornegy, at City Hall on Monday, saying he would directly reach out to the mayor’s office to see if there has been movement on the request. He did say that he had “heard through the grapevine” that the NYPD is in the process of setting up the unit but that there had been no official word of how far along it was. Council Member Cohen, similarly, introduced a number of bills late last year (which were reintroduced this year) that would require the NYPD to provide more data regarding interactions with people suffering from mental illness. Police reform advocates have long criticized the mayor and his administration for not acting urgently enough, particularly at a time when a national conversation is happening around the killing of unarmed black men at the hands of police officers and the lack of accountability by police departments. “I think absolutely the mayor has show he’s not giving real credit to these calls from the Council members for a task force,” said Yul-san Liem, a representative of Communities United for Police Reform and co-director of the Justice Committee. “At the same time, people in distress, people who are mentally ill, are still being brutalized and killed...We need a complete overhaul of how we treat people in emotional distress or with psychological disabilities. 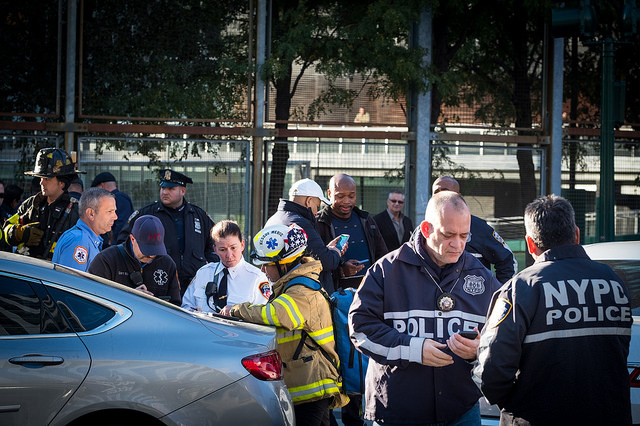 In September, the City Council called a hearing to scrutinize the New York Police Department’s response in cases involving “emotionally disturbed persons” (EDPs). There had been six instances in the previous 11 months where a mentally ill New Yorker had been killed by police officers. Council Members demanded to know why, and sought ways to prevent those deaths in the future, and NYPD officials gave what answers they could with the information at hand. 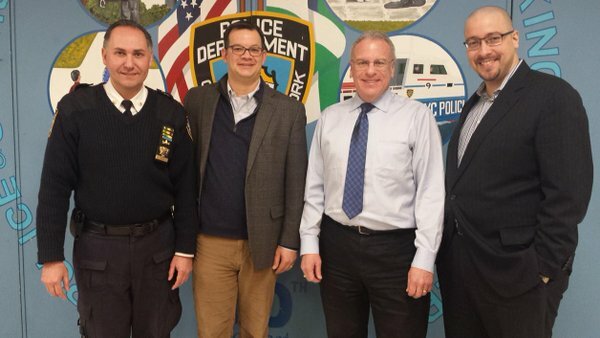 On Tuesday, Council Member Andrew Cohen, a Bronx Democrat, will introduce three bills to fill the void in data regarding the NYPD’s interactions with EDPs. Cohen wants to further inform the department’s training protocols for officers, he said, as the NYPD continues its to refine its training practices toward de-escalation under Mayor Bill de Blasio. In the aftermath of deaths of mentally ill people in interactions with police, the de Blasio administration and the NYPD have emphasized the rollout, slow going though it may be, of Crisis Intervention Training (CIT), which was first introduced in 2015. The training is meant to help officer deescalate situations involving EDPs without using force. By the time of the September hearing, officials estimated that fewer than 6,400 officers in the 34,000-member police force had received the new training. Cohen’s legislative efforts seeks to examine the effectiveness of the training by tabulating data on its results. One bill would mandate that the NYPD produce quarterly reports on incidents involving EDPs including the number of calls in which dispatchers were aware of the involvement of an EDP; the number of calls where a CIT officer was dispatched, the number of use-of-force incidents involving EDPs, the number of calls involving EDPs in which the specially-trained Emergency Service Unit was dispatched; arrests of EDPs categorized by age, race and gender; and the number of incidents where EDPs are transported to a hospital or mental health facility instead of being arrested. More data, Cohen insisted, would help the Council conduct better oversight and appraise the program. At the September hearing, NYPD Deputy Commissioner for Collaborative Policing Susan Herman estimated that the department receives roughly 150,000 EDP calls every year, and that approximately 1 percent, or 15,000 calls, involved use of force. A second bill being introduced by Cohen would require the NYPD to issue incident reports on encounters with EDPs, similar to reports currently issued involving domestic violence situations. These could then inform officers should they return to a particular residence from where an EDP was arrested or taken to a health facility. The third bill requires the city Department of Health and Mental Hygiene to follow up with an EDP within five days of an incident. Cohen (pictured) also noted that Tuesday was perhaps his last chance to introduce the bills as chair of the Council’s Committee on Mental Health, Developmental Disabilities, Alcoholism, Substance Abuse, and Disability Services. This week marks the end of the current four-year session of the City Council with dozens of bills being voted through on Tuesday, the last full meeting of the legislative body. Cohen said he doesn’t know who will be the chair of the mental health committee when the new speaker is named on January 3 and then assigns leadership and committee posts, adding that the bills represented a “distillation” of work that has been ongoing and he wanted to make sure to get them introduced while he was still chair. Since the bills would be pending from a returning member, they are more likely to be prioritized, he said, acknowledging that he was open to chairing another committee if given the chance in his last term in the Council. “Bills for returning members are sort of being queued up so that they’ll be ready to hit the ground. So that’s why I wanted to get this in,” he explained. Prior to and at the September hearing, there have been calls to ensure that social workers are more regularly on the front lines of responses to EDPs, thought he NYPD CIT program does aim to bridge that gap, so that officers are better able to talk people through crisis situations. 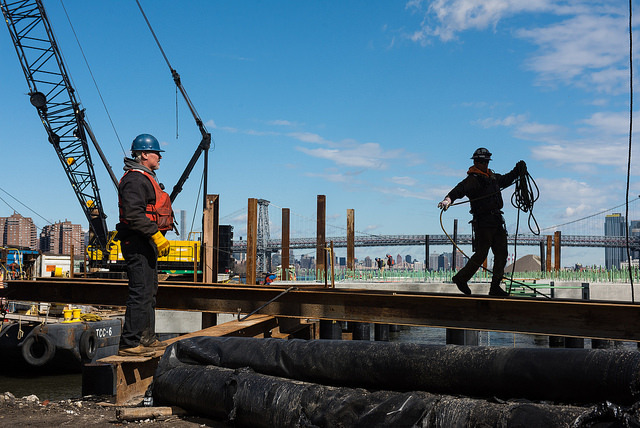 New York City government capital projects -- the building of a school or park, or the reconstruction of a bridge, for example -- are notorious for their delays and tendency to exceed initial budget projections. In an attempt to address these long-standing issues, City Council Member Andrew Cohen of the Bronx is introducing a bill that will require city government agencies to inform communities and their elected officials about expected delays and cost overruns to capital projects in their districts. No matter the project or the city agency, communities and their elected representatives are frequently left in the dark as to when and at what cost promised improvements will be complete. Frequently, the agencies involved are the Parks Department, Department of Transportation, Department of Design & Construction, and Department of Housing Preservation & Development. Cohen’s bill, which he’ll introduce at the City Council on Wednesday, will require that agencies send electronic notice to the relevant City Council member, borough president, and community board within 30 days of learning of “any projected or actual delay of sixty days or more,” as well as “any projected or actual change of ten percent or more of the total estimated cost of the capital project.” The bill also mandates that the notice must also include an explanation of the reason for the delay or cost increase. According to data provided to Gotham Gazette by the Citizens Budget Commission (CBC), a nonpartisan budget watchdog, as of November 2016, 86 of the 191 city capital projects with budgets of over $25 million are delayed by at least 12 months. Of those 86, 33 have been delayed by more than 24 months, with the median delay for such projects totaling 126 days. In regards to budgetary concerns, CBC also reported that, of the 191 projects, 81 have current forecasted budgets greater than 120 percent of their original budget. Of those, 18 are projected to double their original baseline projection, leaving the median change in overall budget at an increase of $6.5 million. The total net change in current forecasted budgets for the 191 projects is $5.6 billion above the original forecasted budgets for all projects ($19.4 billion), an aggregate increase of 29 percent. Jamison Hague, the Director of Infrastructure Studies at CBC, was quick to note that while a number of projects might exceed their initial budget or schedule, this can often be due to a “change in scope,” which, from an agency perspective, would not constitute an over-budget or behind-schedule project. As City Council members we are known mainly for our work of enacting legislation, passing the budget, and land use determinations. What is often overlooked is the business our offices and staff do all day, every day -- the business of constituent services. Any community member can walk off the street into our district offices or call those offices by phone and will be assisted by staff on whatever the issue may be. You can come in if you need a document notarized or if you call in a 311 complaint and want help to follow up. If you have a problem with your housing situation, a traffic and safety issue, or a quality of life concern in your neighborhood, we can help. It is through this work that we learn about the priorities in our communities and the needs of our constituents, and these interactions are often the inspiration for legislation or for funding a new project. Constituent services are the lifeblood of our work as Council members. New Yorkers rely upon these services and it is through these services that we encounter all different people, with a variety of needs and concerns, including persons with mental illness. In fact, one in five New Yorkers experience a mental health issue in a given year. Therefore, the Council is participating in the Mental Health First Aid initiative, including a two-day program this week that includes dozens of participants that work for the City Council and its elected members. Mental Health First Aid trains people to support someone who may be suffering from a mental health condition, helps to reduce bias against mental illness, and allows people to more comfortably engage with mental health issues. The program teaches the common risk factors and warning signs of specific types of illnesses, such as anxiety, depression, substance use, bipolar disorder, psychosis, and schizophrenia. It prepares participants to interact with a person in crisis and connect the person with help, whether it is professional, peer, social, or self-help care. Like CPR, Mental Health First Aiders are certified to deliver the initial intervention to an individual experiencing mental health problems until the appropriate treatment and support are received or the crisis resolves. We are embarking on a new era in mental health, one where the shame, silence, and stigma that have surrounded mental illness are losing their stronghold. This City Council and this city administration are leading the way in bringing mental health out of the shadows and into the light. The Council is prepared to do its part in changing the culture of mental health, by doing what we do best: conscientious constituent services, one New Yorker at a time. Andrew Cohen is the New York City Council Member representing District 11 in the Bronx, which includes Bedford Park, Kingsbridge, Norwood, Riverdale, Van Cortlandt Village, Wakefield and Woodlawn. On Twitter @AndrewCohenNYC.